This doesn't happen very often, but last night I definitely dreamed I was a bird. 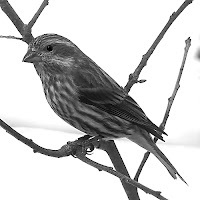 I don't know what kind of bird I was, but I was rather small, maybe the size of a finch, and my feathers were black and white. It's kind of hard to describe, but I knew I was me and I knew as I was flying around that I really wasn't a bird. It felt sort of like I was given some sort of temporary gift, like something was allowing me to see life from the perspective of a bird. I was flying around someones house (not my own), through a garden, sometimes landing on a wooden fence, sometimes on the roof. At some point I saw a family, in a blurry off to the side sort of way as if I weren't really looking at or paying attention to them. I think it was a mother and her two kids walking out of a garage where they had parked their car. At some point I landed on a water hose or something long and skinny on the ground. (Probably because I got stung by that thing) I quickly took flight when I saw a large red beetle crawling in my direction through the low-cut grass. I remember circling a large tree and seeing the sun in the distance. For a moment I felt like I was being drawn to it, like that's where I belonged. I saw a few other birds in the distance flying toward the sun and immediately started after them. But the more I flapped in that direction, the heavier my wings seemed to get. Not only that, it seemed I wasn't going anywhere because I kept circling the tree even though I was trying my hardest to fly toward the sun. I felt like I would burst into tears as a sick feeling started to grow inside me and a weight seemed to bear down on top of me. My breathing became labored. No matter how hard I flapped and how much I tried to change my direction, I just kept circling the tree. When the other birds seemed to disappear into the radiance of the sun, I heard a sound. It was soft at first, distant. I heard it once, then again but louder, and again even louder. It was the sound of my cell phone's text message alerts. And that's when I woke up. I had fallen asleep on the couch, and when I looked down at my phone on the floor there were four text messages received. All of them were from the same person. None of them really were necessary. How was your weekend??? Back to school and everything. I'm homeschooled and its still torture. Hope all is well. You've been posting regularly for a few days now! This is great progress ;) Hopefully being stuck home with school will get you on the stick a bit better huh? All I know as of late is that I'm going to a Christian college to become something the world needs and be darn good at it to. My grandma thinks I should be in politics. My friend says Physcologist, my sister says teacher. But I fail to think I'd be good at any of those. 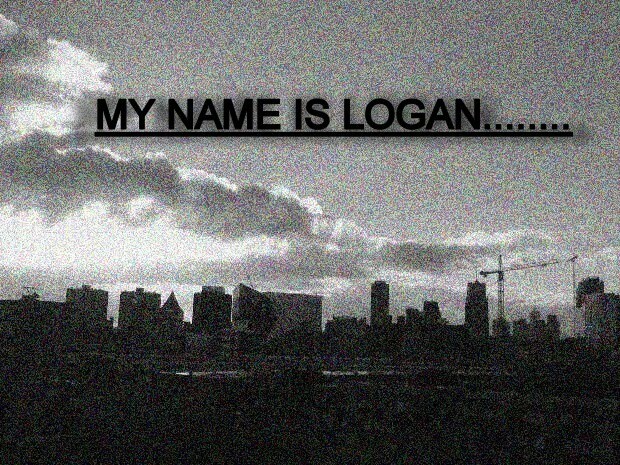 What does logan wanna be? besides a musical prodagy?